Carnival Panorama which will be the next new Carnival cruise ship arriving in 2019 has reached a major construction milestone. A coin ceremony was held to celebrate the special occasion. Carnival Cruise Line and Italian shipbuilder Fincantieri have celebrated the coin ceremony for Carnival Panorama, the third Vista-class ship arriving at the end of 2019. This marks the ship reaching a major construction milestone with all the main exterior work now complete. A commemorative coin was welded to the ship’s mast in a time-honored maritime tradition. Attending the event at the Maghera shipyard in Italy was Benoit Clement who Carnival’s senior vice president of newbuilds and Antonella Cazzin who is an employee of Fincantieri’s shipyard in Marghera for more than 35 years, served as godmother for the coin event. A special video was also made to show the journey the coin made. It started in California on the U.S. west coast which is where the new Carnival ship will be based once she enters service. 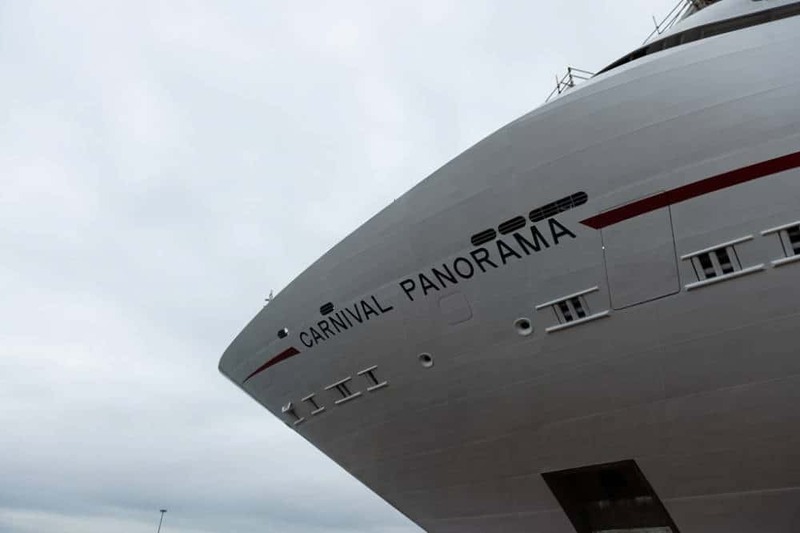 Carnival Panorama will debut from the Long Beach cruise terminal on December 11, 2019, the first time a new Carnival ship has homeported from the region in 20 years! On December 14 the new vessel will launch her regular service sailing the Mexican Riviera cruises including calls at Cabo San Lucas, Mazatlan and Puerto Vallarta. Once completed the ship will be 133,500 gross tons and have a guest capacity of 4,008 at double occupancy.